The formative years of adolescence can be some of the most difficult that a person will face in the development process. We can help. We can help patients overcome the everyday challenges and stressors that play a large role in overall healthy living. We provide short-term crisis stabilization usually lasting approximately 10 days for patients that are 65 and older. We offer a full spectrum of care catered to our patients’ needs. Our communal vision creates an intimate, familial setting. Welcome and thank you for reaching out to Riverwoods Behavioral Health in Atlanta, Georgia, and allowing us to be a part of your journey to a new and richer experience. Our staff is here to guide you from the initial point of crisis with Inpatient Stabilization, throughout the recovery process with top notch Outpatient Programs, and then as you transition into healthy living with our Aftercare Groups. We strive to create a supportive and caring environment, which we feel is the most crucial component that we can offer our patients and their families as they begin their process of healing. Our passionate team of professionals focuses on individualized treatment. That means working with our patients from our first interaction to understand the issues and triggers that have brought them to Riverwoods, and involving them in the creation of treatment plans that create a base for sustaining long-term recovery. We realize that the decision to seek treatment can be the most intimidating and stressful healthy decision you will ever make. We feel that our communal vision creates an intimate, familial setting which allows us to treat our patients with a personalized touch and hospitality that is often lost in the intimidating traditional hospitals. Our goal is to provide tailored treatment for each of our patients. To do that, we have many specific programs and levels of care. Riverwoods offers separate programming for adolescents, adults, and seniors, and we also have specialty tracks for substance abuse (including detox), co-occurring disorders; and psychiatric disorders such as depression, anxiety, and bipolar disorder. 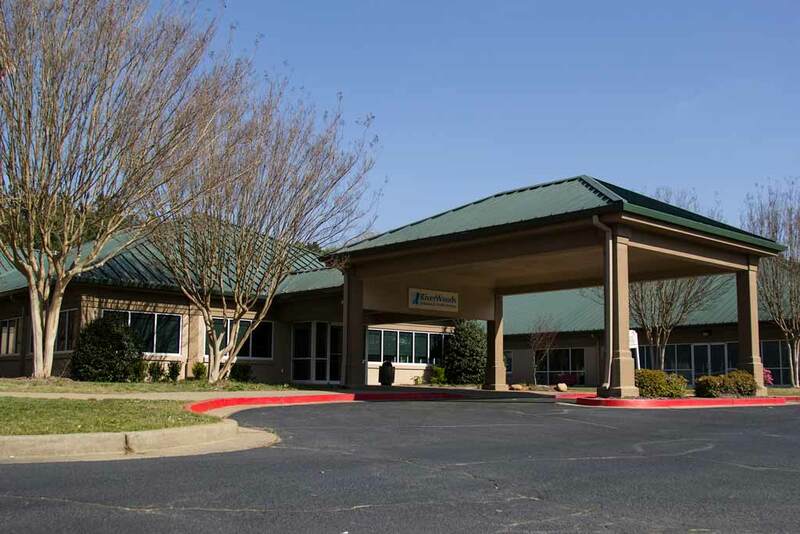 Riverwoods is much more than an inpatient hospital; we also have PHP and IOP levels of care in our treatment center. We pride ourselves on offering a full spectrum of care that adapts to our patients’ needs. Call one of our Admissions counselors today for a free, confidential screening to see how Riverwoods can help you regain a happy, healthy life.